Native Instruments Traktor Kontrol S4 Mk2 DJParts - All Variety of Parts that DJ Needs. 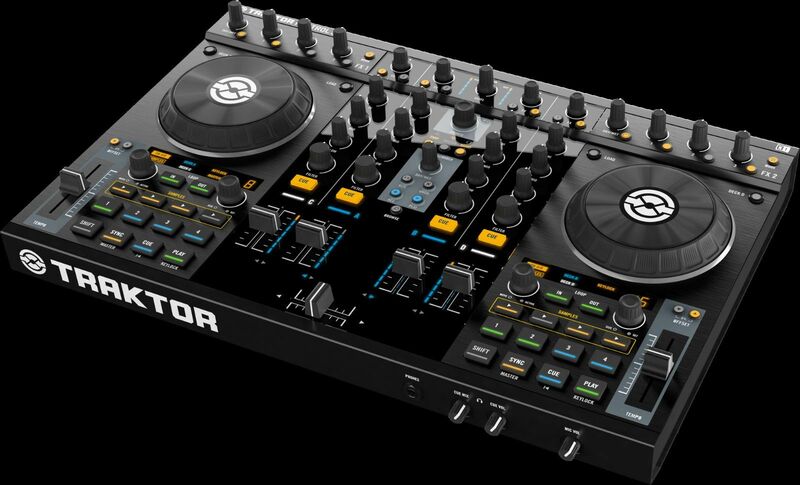 Native Instruments Traktor Control S4 MK2 is the industry standard 4-deck TRAKTOR controller with hardware and performance improvements. TRAKTOR KONTROL S4 MK2 was designed from its conception as a fully integrated system where software and hardware are fused in perfect harmony. Once you experience it, you’ll immediately feel how simple, yet powerful and fluid a professional DJ system can be. TRAKTOR KONTROL S4 MK2 is the culmination of a 10-year vision and experience only Native Instruments can provide. So whether you’re a seasoned TRAKTOR user looking for the ultimate controller, or just entering the world of digital DJing, the S4 delivers like no other can. The central part of TRAKTOR KONTROL S4 MK2 holds the mixer section, made up of four stereo channels each with level faders, 3-band EQs and a filter knob, gain and two FX sends per channel – very much like any professional club installation mixer. Two analog stereo inputs are provided with both phono and microphone preamps, allowing the connection of turntables, CD players or external audio gear. The additional auxiliary session input allows you to hook the S4 up to other analog gear. The new Loop Recorder can be found in the center of the mixer, and is a powerful performance tool that will take your set to new levels of creativity. The super smooth crossfader is replaceable and its sharpness curve can be adjusted via the software to fit your mixing style. With the brand-new Loop Recorder unit, located centrally in the Master section, you can now record live loops from any channel (single or multiple), or the live input feeds such as mic input or master output. Similar to having a fifth deck, you can immediately layer and overdub loops on top of one another, triggering the recording & overdubbing from the Loop Recorder unit via the Record button - or use an optional footswitch if you don`t have a hand free. Plus, you can instantly transfer a loop created in the Loop Recorder into a Sample Deck slot, freeing up the Loop Recorder for further use. All faders have special path limiters to ensure zero dead zone at their boundaries for a sharp cutting attack. Their rugged, long-life performance will continually excel in even the most demanding of gig schedules. The encoders serve as gain controls for individual decks in TRAKTOR. Two FX assign buttons route audio to up to two effect sections per channel. The Master Level knob in the center adjusts the master output volume, while below it, the Master Tempo controls the overall tempo.